In an age where micro-transactions and downloadable content are commonplace after the launch of most of today’s triple-A games, fans are asking, will this be the case for EA and Respawn Entertainment’s upcoming sci-fi shooter Titanfall? According to Respawn’s official Twitter account, Titanfall will not include micro-transactions, though the studio has not entirely rule out the possibility of a season pass. Today, most season passes offer a full season of downloadable content at a reduced price, a few examples being Call of Duty: Ghosts’ season pass and Battlefield 4’s Premium subscription. They’re a great way to shave a few dollars off of extra content you know you’ll be purchasing anyways, though it does lock you in without much chance of pulling out, should you grow tired of the game or become unsatisfied with its quality. 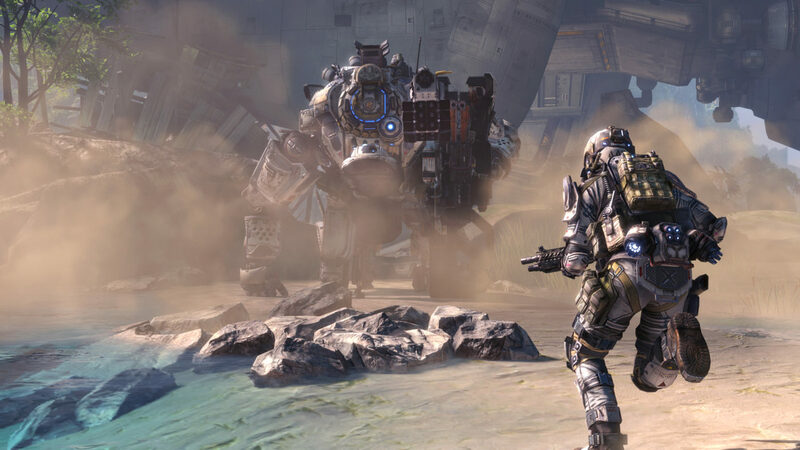 Currently, no DLC plans have been outlined for Titanfall. 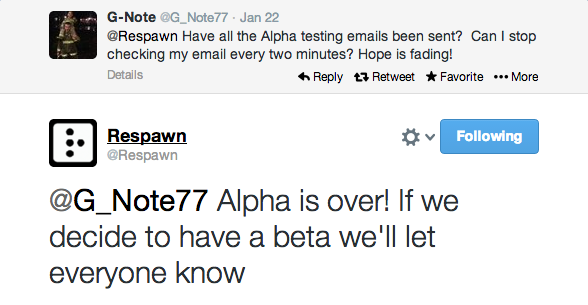 In news related to the rumored Titanfall beta that may or may not be happening, the studio has yet to confirm the likelihood of another public test, but a recent Twitter response suggests they are still thinking about it. A limited technical test, or “alpha test”, took place last weekend for invitees to participate in and provide feedback via a closed forum.